EAAâs B-17G-VE, serial number 44-85740 - nicknamed Aluminum Overcast â was delivered to the U.S. Army Air Corps on May 18, 1945. Although delivered too late to see action in World War II, the airplane has an interesting history. First Owner Purchased as surplus from the military inventory for a mere $750 in 1946, the airplane has flown more than 1 million miles. It has served as a cargo hauler, an aerial mapping platform and in pest control and forest dusting applications. Return to Military Roots The airplane's return to its military roots began in 1978, when it was purchased by a group of investors who wished to preserve the heritage of the magnificent B-17. 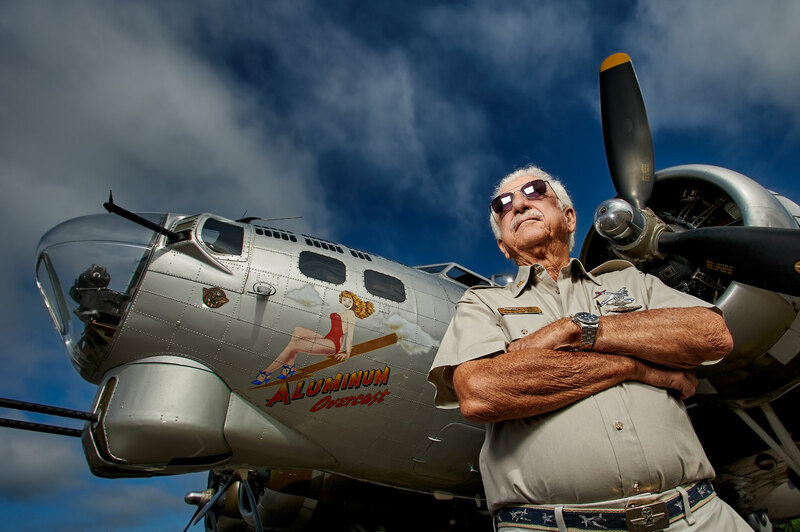 The group, "B-17s Around the World," was headed by Dr. Bill Harrison. Their goal was to return the B-17 to its former glory.